This entry was posted on November 10, 2014 by sharonwynn, in Uncategorized. Bookmark the permalink. 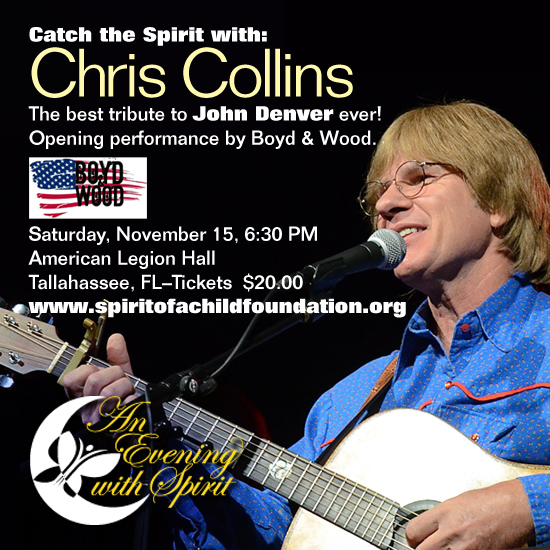 Chris Collins is bringing his tribute to the music of John Denver to Tallahassee for a one night only benefit concert supporting the Spirit of a Child Foundation. Hailed as one of the nation’s most exciting tribute voices, the award-winning performer will be at the American Legion Hall in Tallahassee, Florida on Saturday, November 15, 2014. Doors opening at 6:30pm. Chris’ smooth voice and natural ease on stage are reminiscent of what audiences would find at an actual John Denver concert. So, expect to hear your favorite songs like Rocky Mountain High, Thank God I’m a Country Boy, Annie’s Song, Back Home Again, and many more. 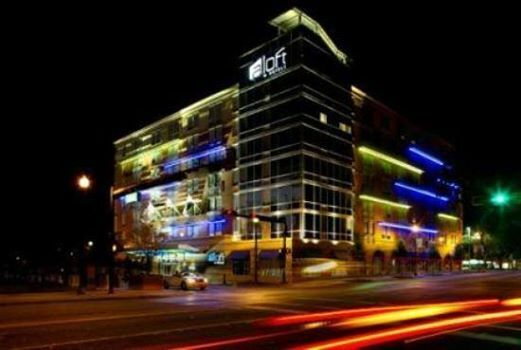 This is your chance to recall some great memories and enjoy an “Evening with Spirit” you won’t forget. During the 1970s, John Denver was the one of the most popular entertainers in the world. He sold more albums for RCA records than any other artist in their history. But to say he was an icon would be selling him short. John was also a voice for the environment and a leader in global solutions. There was something in Johns music that transcended great melodies and poetic lyrics into an underlying sense of the human condition, and the longing we all feel for love and home. 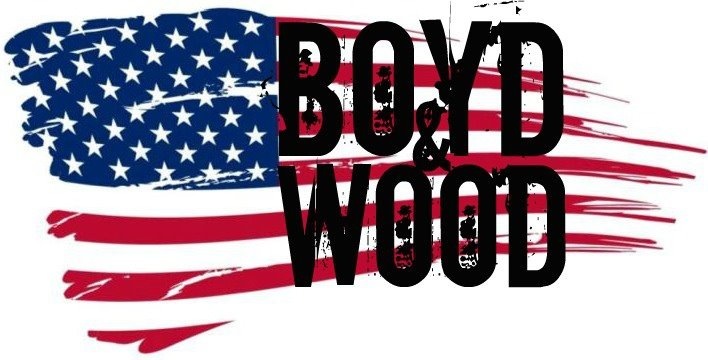 Starting the evening off, will be Tallahassee’s own, BOYD AND WOOD who have performed all over the panhandle covering the music of many acts such: Blues Traveler, Easton Corbin, The Bellamy Brothers, Bo Bice, Keith Anderson, Steve Azar, Pat Green, Jake Owen, Florida Georgia Line, Love and Theft as well as Parmalee. 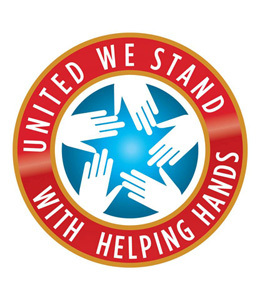 Make it date and join us for a good cause. You won’t regret it. When purchasing tickets online, PRINT YOUR RECEIPT and BRING RECEIPT to event. PayPal RECEIPT will be YOUR TICKET.